The announcement is at least a partial explanation for a recent fall in the renminbi. 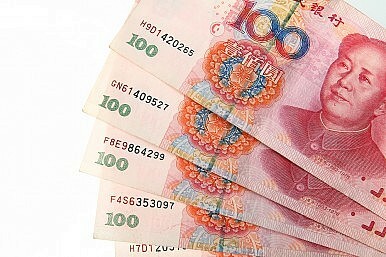 In early March, Pacific Money considered the dramatic fall in China’s currency, the renminbi (RMB). While several possible explanations were provided, it was argued that we would have to wait until after China’s parliament meeting to know for sure. Sure enough, the “Two Sessions” ended on March 13, and only days later, the picture has become clearer. Back on March 3, Pacific Money suggested four possible explanations for the dramatic fall in the currency versus the U.S. dollar. The first was a “competitive devaluation” aimed at boosting exports; the second an attack on currency speculators taking on risky deals based on the “one way bet” of RMB appreciation; the third was that the People’s Bank of China (PBOC) was planning a widening in the RMB trading band; while the last was that the currency was being used in relation to the domestic liquidity situation. Two days after the parliament sessions closed, and we have a (partial at least) answer. On Saturday, the PBOC announced that it would double the size of the band within which the RMB is allowed to trade around the fixing point each day (explanation no. 3 above). While this does not rule out the other possible explanations, it does mark a rather swift rollout of yet another financial reform. A limited one, but a reform nonetheless. The change will take effect from the March 17, so the market will be paying close attention to how the wider girth affects day-to-day moves in the currency. The PBOC also announced that the RMB was unlikely to rise or fall dramatically and it is highly likely the central bank will continue to intervene to maintain stability, or to achieve other goals related to China’s economic or financial situation. Moves by China's central bank and the IMF have seen the renminbi enter a new era.